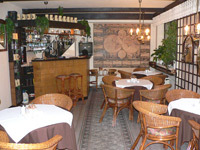 The Aparthotel Cikada*** offers accommodation in charming family atmosphere. 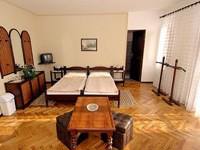 Hotel is situated on the wider centre of Prague, close by new center Gold Angel. A convenient location of the hotel in an immediate vicinity of the underground and the tram station enables you to get within few minutes to the most prominent and sought after places in the historical part of Prague, for example the Wenceslas Square, Old Town Sqaure, Charles Bridge or the famous Prague Castle. 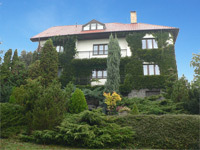 The hotel offers an airport shuttle (24 hours a day) costs are EUR 19 for 2 persons one way. You have to reserve a spot before arrival. 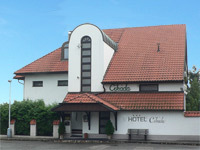 The hotel is located in the South-West part of the city centre. From the highway "D5" in the direction from Plzen follow the direction to Barandov, and you will arrive to the street "RADLICKÁ". From Prague Ruzyne Airport Intl Airport/Prg -follow the signs to the city centre, drive down Evrpska street, after 8 km turn right, direction SMÍCHOV, through the tunnel, to the street "RADLICKÁ", direction HLUBO&#268;EPY 500m, after 2 km turn right to the hotel. From the central railway station (Praha - Hlavní nádraí): Take the metro line "C" to the station "FLORENC". There change for the metro line "B" and go to the station "SMÍCHOVSKÉ NÁDRAÍ" and than in the same way.